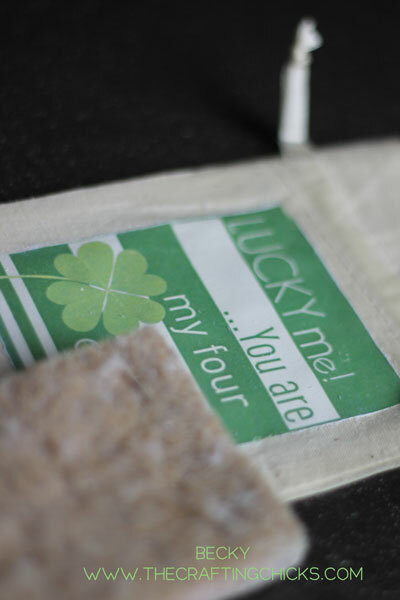 You may be surprised to find out that this fun little “Lucky Me” bag was made using Mod Podge. Yes, siree. 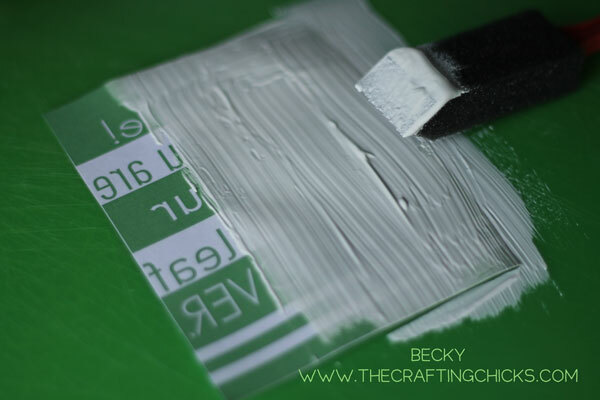 Mod Podge has a new Photo Transfer Medium that you can use to transfer an image to many different surfaces. It’s so exciting. 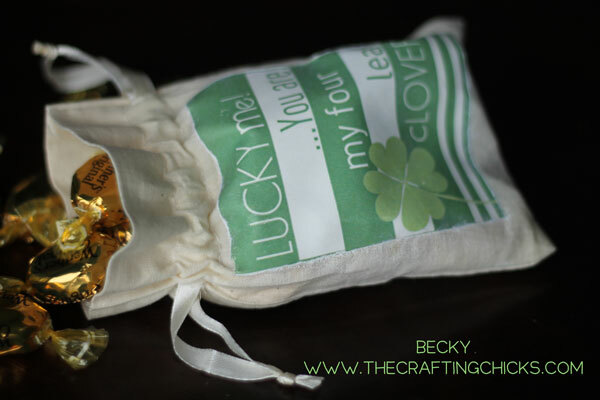 So let me tell you how you can make yourself a fun “Lucky Me” bag! 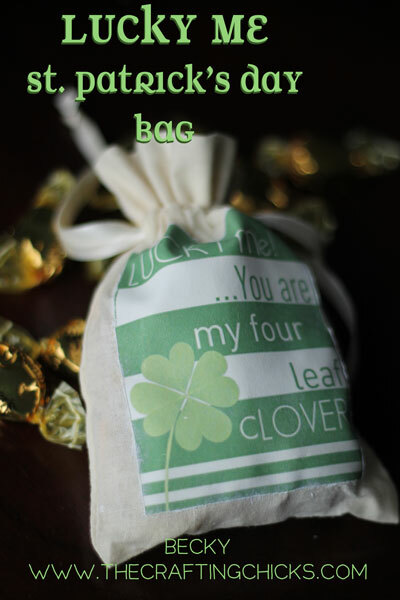 First off, I got this fun little St. Patrick’s day printable from the fabulous 36th Avenue. She is wonderful and I have loved this print. I printed it off at my local print store and had the wording reversed so that it would read correctly once it was transferred. 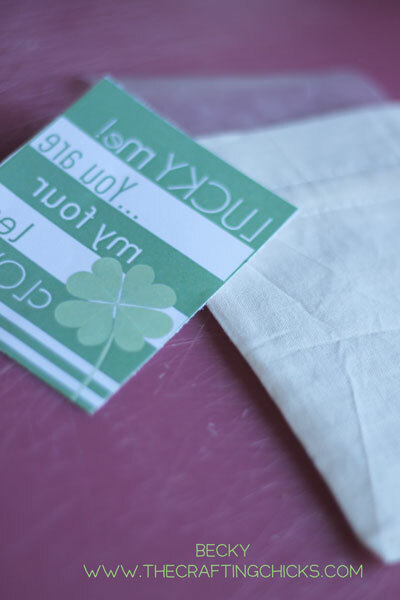 I got the cute little muslin bag from Close To My Heart. They have some dang cute things and I was excited to use this bag as a fun treasure bag for a friend. You can also find the bags here. Next I coated the print with a layer of the Mod Podge Photo Transfer Medium. You are suppose to cover it so that you can’t see the image through it. Don’t be afraid to get it on there. Now here comes the hard part. 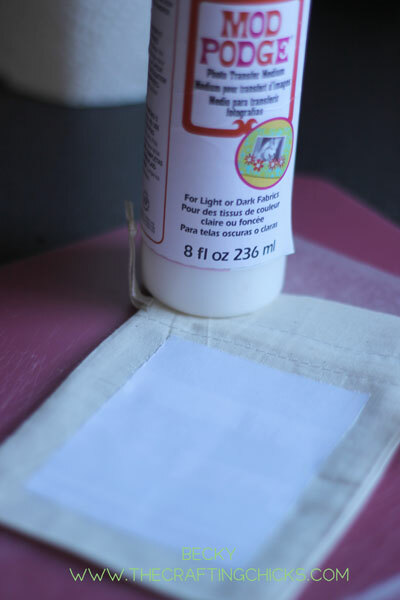 You have to wait 24 hours for the Mod Podge to completely dry. Use your crafting patience. I know I don’t have much, but it was worth the wait. After 24 hours is up, get a sponge wet and place on your image for 2 minutes. 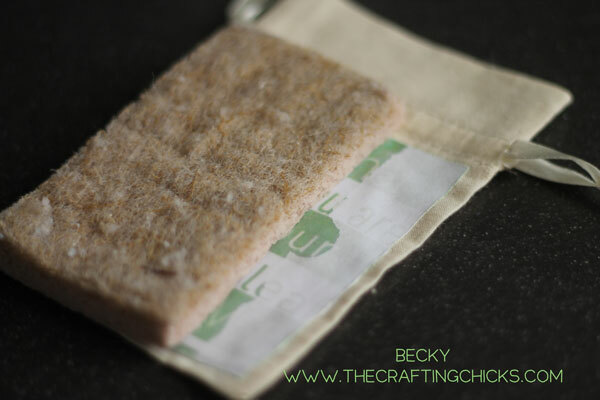 Once your 2 minutes is up, get the sponge wet again, and, in a circular motion, start to rub the paper off. This is the fun part for me cause you get to see the fruits of your crafty labor. Fill it full of treats and… tah-duh! Take it to a special friend! I love the look of the bag and I am so happy with how it all turned out!! 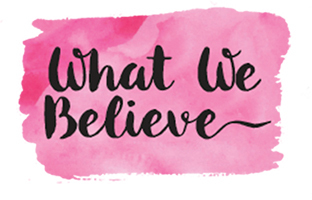 This post was written as part of a campaign with Blueprint Social. All opinions, photos, and ideas are my own, as always! I’m so doing this tomorrow – thanks! Am thinking of printing on an artist canvas. Do you suggest putting another coat of Modpodge on it to seal it? It will hang on a wall in a child’s bedroom. Question: do you print on any special paper? Or does it need to print with special inks? thanks! Great post! We’re going to include in a roundup. Super cute!